VitalEyes was created at Hatching Health, an interdisciplinary hackathon of students and professionals in technology and health care. The team comprised of a physician, engineers, computer scientists, and a medical student―Charles Choi. Originally inspired by Dr. Agulnik’s experiences in the Emergency Department at St. Paul’s Hospital, the team worked over the weekend to develop a prototype for VitalEyes. VitalEyes simultaneously measures heart rate, respiratory rate, and temperature of a single patient. The potential of their work has been recognized by the Faculty of Applied Sciences Award at Hatching Health. They also received the finalist award at RBC Get Seeded and were semi-finalists for Medical Device Development Centre’s Award for Excellence in Biomedical Engineering. Recently, their team has expanded, and they are exploring the use of video cameras, 24GHz frequency modulated continuous wave radars, and thermographic cameras to determine heart rate, respiratory rate, and temperature. Their system is designed to then alert healthcare professionals to attend to deteriorating patients whose vital signs have become abnormal. 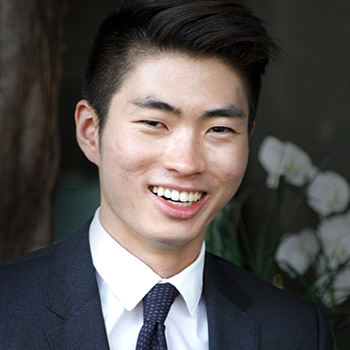 Charles Choi is a second-year medical student at the University of British Columbia. He is passionate about using technology to solve medical problems and has been involved in projects such as a mobile app to help neurologists remotely track the progression of patients with Parkinson’s Disease. In 2018, Charles helped create and develop VitalEyes with an interdisciplinary team, who are working on a contactless method to measure vital signs of multiple patients simultaneously.